20. JP 3-08, Interorganizational Coordination During Joint Operations, emphasizes coordination, cooperation, and unity of effort. Should the revised FM tackle the issue of unity of command? Yes, it is important that a common approach is applied across the campaign. From a military perspective this may mean the establishment of Theatre Entry Levels that each contributing nation must meet in order to join the coalition. In addition to more obvious issues of equipment compatibility and interoperability, this may include mandating some standardisation or interoperability of process as well e.g. regardless of its national approach, signing up to the doctrine guiding the campaign plan. There must also be clear control over and alignment between the OGA (regardless of nation) that are supporting the campaigning – or perhaps even leading it under some circumstances. It may be that the primary tool for high-level command and control in a comprehensively-approached COIN/IW campaign is liaison and not the direction that might be more expected in a purely military organisation. 21.a. Does the FM address adequately the interaction of the military with government and non-government agencies and propose a structure similar to CORDS in Vietnam? A CORDS-type structure may be one option depending on the existence and capability of the HN government and its state and local government structures. 21.b. Or is operating under the concept of “Unified Action” sufficient? No. Unified Action aka the comprehensive approach can be many thing to many people and it is important that the issues surrounding UA and JIM approaches be defined in doctrine, both as considerations for campaign planning and also so that any need for training in this area can be identified and implemented well before being required. 22. Are the six lines of operation described in the current FM applicable globally, or are there others that would be more relevant? The term ‘logical lines of operation (LLO)’ implies that there are such things as ‘illogical lines of operation’. The terminology could be simplified to simply ‘lines of operation’. 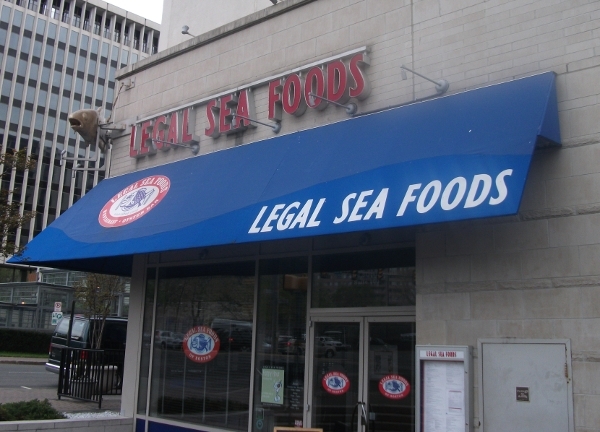 So somewhere there is a chain of Illegal Sea Foods restaurants?? The extant lines of operation in FM 3-24 are valid and most of the content of chapter 5 is sound. It would be clearer if information operations was depicted as a separate line of operation as the current construct could be taken as meaning that information operations are more an all arms role than the specialist role that they are. The stages of a campaign, lines of operation, and approaches to counterinsurgency are delinked from the host nation government. As already discussed, the legitimacy or not of the host nation may be a contextual factor than an enduring feature or requirement of this type of campaign. 23. How, or should, the FM account for enablers, such as Female Engagement Teams and Agriculture Teams, in the AO? 24. Should the FM address how to conduct counterinsurgency operations when the national government is itself considered a threat by parts of the population? See Q15 and Q16. It may be that the central/national government has to accept that, to return to stability and normalcy, it has to make some sacrifices in terms of control, perhaps even in allowing a ‘rebel’ region to break away e.g. Singapore, the former Yugoslavia, Timor Leste, to name a few. 25.a. How, or should, the FM address transition and reintegration? One might reasonably expect both of these to be higher level endstates/objectives of the campaign so they should be included in the content of the FM. A point that must be driven home is that this cannot run to a predetermined timeline. Stating a timeline, as has been done with the 2014 timeline in Afghanistan, does little to bolster the COIN campaign and offers the insurgent the opportunity to ‘sit out’ the COIN forces. There is some thinking that states that while that the recovery period from an insurgency is at least as long as and probably twice as long as the period of the insurgency itself; a similar school of thought offers that the ‘take’ of a COIN campaign cannot really be measured until one full generation, possibly two, has passed. Where other factors may drive a premature or early departure from the campaign environment, they should be acknowledgement and acceptance of the potential consequences with the host nation. 25.b. 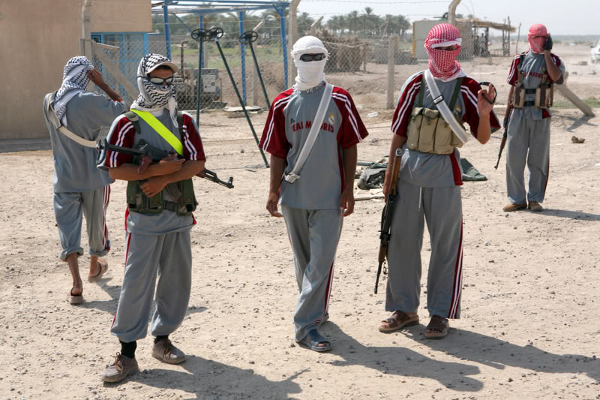 Should there be a section on sanctions and incentives to address former insurgents? This probably falls under the reintegration phase under Q25.a. At a certain point in the transition process, responsibility for ongoing conduct of the campaign will transfer to the host nation and any such sanction and incentive programme would be its auspices, even though coalition security forces that remain for a longer period. One, successful, example of this being applied is in Malaysia, where the Emergency per se was declared over in 1960 but national sanctions and incentive programmes continued for another 28 years under the Malaysian government until the final CT surrendered in 1988. The value of sanctions against the new rulers of a nation where a counterinsurgency campaign has failed e.g. post-1975 Vietnam, or where the campaign is globally unpopular e.g. South Africa and Rhodesia, should be discussed from the perspective of effects upon longer term regional stability. 26. Are there any other issues that we have not addressed related to conducting counterinsurgency operations? This entry was posted in The Thursday/Friday War and tagged COIN, COIN Center, FM 3-24 by SJPONeill. Bookmark the permalink.